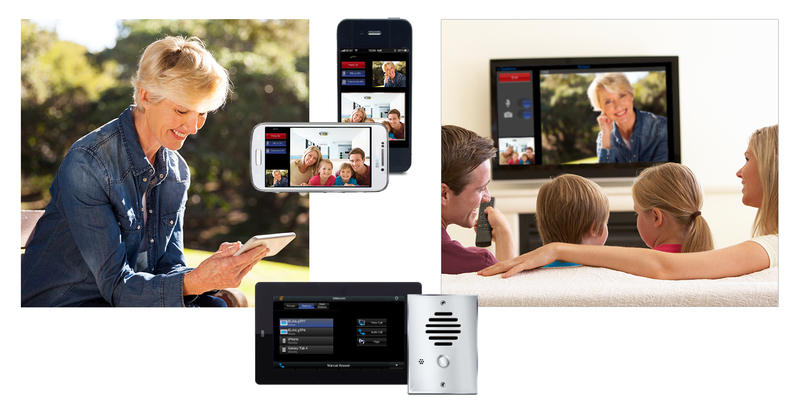 We offer a wide range of intercom packages designed to provide effortless communication. We take into account design and style considerations by installing attractive face plates that blend into a home decor. Communicate in your home like never before. Whether you are broadcasting to everyone that supper is ready or simply using the selective call feature to give an individual a detailed message, you can do so with ease. The intercom systems we install are simple and user friendly. At the same time, they are fully capable of integrating with other systems such as a whole house audio system. We understand the importance of keeping one’s property safe and secure. One of the best ways to maintain a level of control entry to your property whether it be your office, or other building is an access control system. In addition to a security system, access control provides a second layer of security and control. Many access control systems feature multiple user codes, built camera, crystal clear communications, and auto-lock doors. Integrate your access control system with an automation system to remotely open and close the property gate or door entry. Call All Safe Technologies today to find out more! Get Started Now! Call 866-801-0000 or we can call you! It's that time of the year again and you'll probably have a few packages showing up at your door for Christmas. Don't just wonder who took your packages when it happens; using one of our video doorbells, you can know who it was. Call us today to find out about this awesome product! Copyright © All Safe Technologies, LLC All Rights Reserved. Designated trademarks and brands are the property of their respective owners.